No contractor would ever wish to experience a downtimes of any kind. There are numerous negative impact that they have to the business. When the machine is not working due to break down, you lose money for every minute that is lost. You also pay workers for doing nothing during downtime. It may also affect your reputation as a contractor. One of the major causes of Pengo auger break down is poor wear parts condition such as teeth breakage. Routine inspection is one of the ways that you can keep you drilling machine running efficiently and for longer. The best ways to keep your machine running is by eliminating problems that would result in break down. With inspection of the machine on a regular basis, you are able to fix most of these problems before they get worse to bring about the breakdown. Inspecting your pengo auger parts after work is the most recommended routine. Having spare Pengo auger parts is another way to keep your drilling machine running for long. For the same reason you should keep a spare car tire, you should always have spare pengo auger teeth and other parts with you. That will ensure that anytime you have a problem with faulty spare parts, you can fix it instantly and thus avoid unnecessary downtime while working. Make sure that you have ordered extra parts that wear out faster so that you can have them fixed without the need for supplies. However, it is always important to keep replenishing the spare parts once used. Replacement parts as part of the supply chain should be maintained in the highest quality the market can offer. 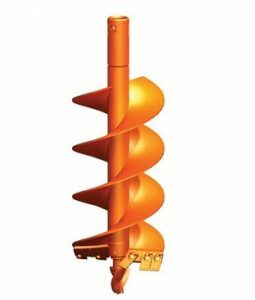 One of the biggest mistakes that people make is buying inferior auger wear parts for replacement. Note that new machine comes with quality original teeth from the manufacturer, but the auger owner must ensure they make quality replacements. Inferior parts can cost your operation big time. You will have more downtimes, poor performance and a high cost of operation as well. Therefore, ensure that you are supplied with quality Pengo auger parts only for you to keep it running for long. This entry was posted in Blog on 08/22/2018 by rimrock.